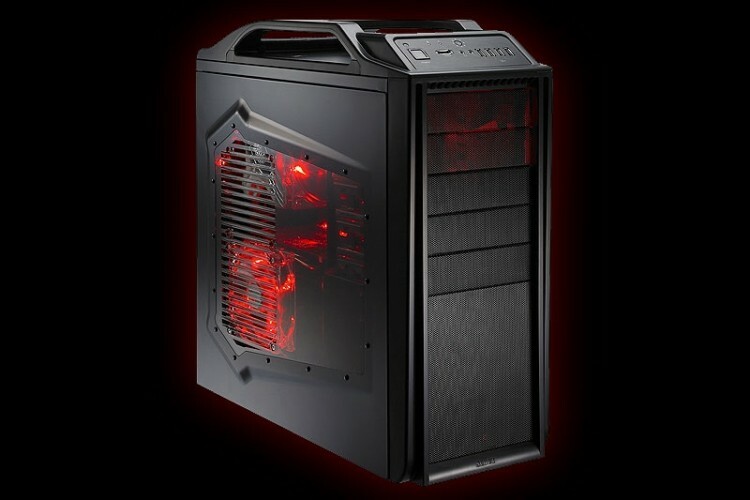 Topping our lists today is the Mid Tower Computer Case Cooler Master Storm Scout for only $49.99 with free shipping. We also found a very well loaded Haswell PC from Dell, complete with quad-core Core i7, 8GB RAM, 1TB HDD, and more for only $649.99. Also don't miss the chance to grab a premium 22" IPS 1080p LCD monitor for $199.99 with a $100 gift card. Scroll down to check out these and more hot deals. 88 Cooler Master Storm Scout Mid Tower Computer Case for $49.99 with free shipping (normally $99.99 - use coupon code EMCXMVX77)Ends Today!. Dell XPS 8700 4th-gen Core i7 "Haswell" Desktop for $649.99 with free shipping (normally $874.99 - use coupon code 0H9Q3PQ6L3744C ). BUFFALO AirStation HighPower N600 Gigabit Dual Band Wireless Router for $59.99 with free shipping (normally $99.99 - use coupon code EMCXMWP37). 21.5" Dell S2240L 1080p IPS Monitor + $100 Dell Gift Card for $199.99 with free shipping (normally $199.99 without gift card). 82 Linksys EA6500 Smart Wireless-AC Dual-Band Gigabit Router (Refurbished) for $104.49 with free shipping (normally $149.99 - use coupon code HSPH5 ). 84 Logitech G19 Gaming Keyboard with Color Display for $116.99 with free shipping (normally $149.99 - use coupon code VME10BTS | use V.me by Visa checkout). 82 14" Alienware 14 Core i7 Haswell Gaming Laptop w/ 16GB RAM, 1080p LCD, Blu-ray, GTX 765M & $200 Gift Card for $1,699 with free shipping (normally $1,887). 88 Razer Naga MMO Laser Gaming Mouse w/ 5600 dpi for $59.99 with free shipping (normally $79.99 - use coupon code EMCXMVX63 ). 85 Crucial M500 240GB SATA 6Gb/s SSD for $179.99 with free shipping (normally $209.00). 68 Lenovo IdeaCentre Horizon 27" Core i5 1080p Touch Table PC w/8GB RAM, 1TB Hard Drive, 8-cell battery & 2GB GeForce GT 620M Graphics for $1,449 with free shipping (normally $1,899 - use coupon code IDEASFORSCHOOL ). Webroot SecureAnywhere Internet Security Plus 2013 (3 User) [Download] for $29.99 only (normally $59.99). Adobe Photoshop Lightroom 4 (PC/Mac DL) for $74.89 (normally $149.99).